In 2002, studies on how to create an artificial womb created a buzz in the scientific community. Last year, the concept of growing humans outside the womb is slowly turning into a reality. Initial tests on lambs were successful and in the coming years, human embryos can be grown in a see-through pod. 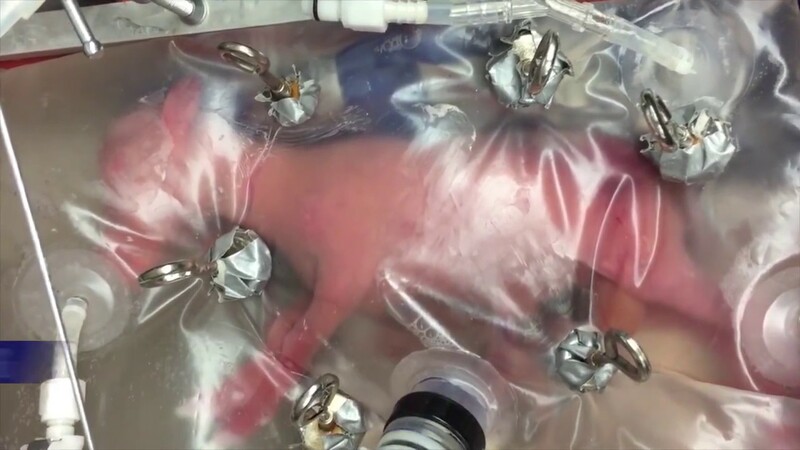 Incubators saved countless lives of premature babies and the idea of growing babies from the embryonic stage up to the mature newborn outside the womb seems like playing God. Has science gone this far? The prototype bio bags were a lamb was grown was filled by synthetic amniotic sac. Children's Hospital of Philadelphia is the place where the scientific breakthrough happened. Product Design Arnhem shows a concept incubator that looks like something that can be bought from a mall. The yellow pod looks slick and quite futuristic. The concept design says that parents can even talk to the baby and play music on it. The artificial womb also shows the vital signs of the fetus.